Beautifully placed, stylish luxury is the promise of this self-contained accommodation nestled within 14 private acres adjoining Serengale Vineyard. Perfect for couples, getaways, groups and families for up to 10 people, this is an invitation to turn off the fast pace of life and slow down for a while. Meticulously renovated with two spacious living areas, five generous bedrooms, two bathrooms, contemporary furnishings, original artworks and a gourmet kitchen that would gratify the discerning chef. With every room framing a captivating view of rolling pasture, native garden or the Australian bush it is the ultimate in space and privacy. Sip champagne by the swimming pool, relax by the log fire in the cooler months, share meals in the large dining room or outdoor area, explore the native garden and the woodland walk or arrange a pamper package, a private chef, yoga or a wine tasting at Serengale Vineyard – you might never want to leave home. For those who venture further afield, cycle the rail and mountain bike trails, explore the National Parks, historic Beechworth and the Milawa Gourmet Region all only a short drive away. The perfect place in which to explore this beautiful region. The spacious lounge with its open fire place and the adjacent reading room provide a comfortable space where guests can reconnect and unwind from the everyday stress of a busy life. The open plan gourmet kitchen and dining room provide the perfect place for food, wine, stories and laughter, whilst each of the five bedrooms is a haven in which to slumber and reinvigorate for the next day. 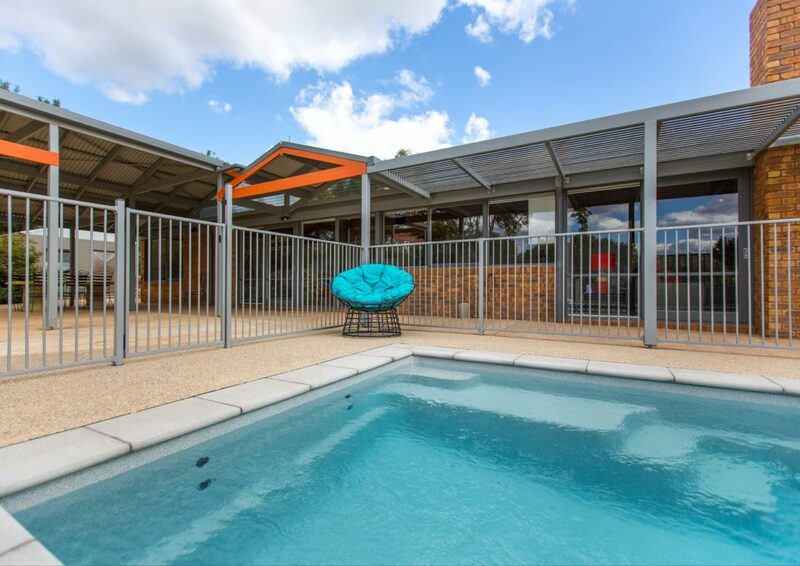 The outdoor areas showcase our rural life, with the outdoor patio, with barbecue, set within a granite walled native garden, views of our vineyard, pastures and the native bush border the Retreat.